Forklift transmissions for immediate shipping. All of our transmissions are assembled using painstaking workmanship provided by highly trained forklift professionals. 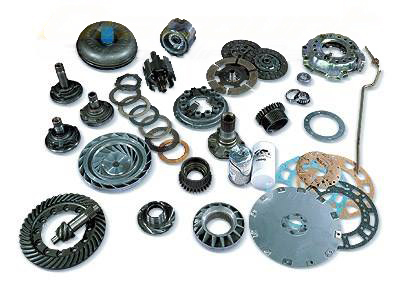 Our transmissions and parts are carefully disassembled, oven cleaned and high pressure washed. Finally, the cases are detail-inspected for cracks. OEM replacement parts are used on all critical components, as well as new bearings, bushings and seals to ensure top quality. All transmission are covered by Discount Forklift’s six month warranty. Discount Forklift offers 360 different part numbers available in stock and over 100 of the most popular models in stock at all times.